I was fourteen the first time I sliced a tomato and onion, just two of many experiences I hadn’t had before entering foster care. I held the knife tentatively and pushed on the tomato. It sunk a little and formed a darker spot the size of my fingertip. I was afraid of the sharpness of the knife, the threat it held against this fragile tomato, anything as fragile as I felt after a week of being in a new place. I didn’t want to hurt it, myself, anything. The bruises were still tender on my arms, back, around my neck. I played with the flaky skin on the onion, crumbled it in my hands. I didn’t want to ask how to cut it. I didn’t want to appear weak. There were things I did know—how to hide behind clothes in my closet, how to be smile quietly, how to feign ignorance that I had overdressed to cover bruises, how to lie sweetly to protect others from the grim truth. But I didn’t know how to slice a tomato. I didn’t know how to load a dishwasher. I didn’t know I could ask for help. I didn’t know how to love. My roommate, Hannah, had opened cans of fruit and was placing worn melamine plates, thin napkins, silverware, and plastic cups out for ten—four girls, four boys, plus two foster parents. Another girl was nearby flipping bits of beef over and over as they turned from pink to brown. It was quiet except for the sizzle of the beef and the sounds of the knife against a plastic cutting board as we strained to hear the muffled conversation behind our foster parents’ door up a short flight of stairs. The boys were downstairs in the family room; it would be their turn to clean up after dinner. I saw them through the metal railing in the suburban tri-level. They were reading and drawing—quiet. I heard the short deep bursts of our foster dad’s voice, the raspy higher tones of our foster mom. Where I expected to hear the little girl, I heard silence. She was eight. Her name was Marie. She was giddy the day before, a Friday, hope bubbling over as the girls crowded into the narrow bathroom under round, hot lights and curled her hair. Being the oldest, I manned the curling iron while the others talked fast. Try it half up. No, put it all up. How about a half braid leaving the curl at the bottom? Do you know how to braid? Do you? Does anyone have a hair band? Someone went across the hall into Marie’s room and came back with a pale blue clip, a little paint chipped off the tip. I pulled a curl back from a side of her round, cherub face and snapped it in. We let out a collective oooh. The fear we normally saw in her eyes was replaced by excitement. She stood taller, took her hand and patted her hair gently feeling the curl. Marie’s shoulder-length brown hair glistened. She twirled side to side before the mirror in her royal blue dress, a little too small. Her pudgy wrists poked out at the ends of the too-short sleeves, her round tummy pushed against the waist seam. We heard the doorbell and one by one scurried downstairs. I turned back to check if I had unplugged the curling iron. Marie was still there. She peered into her reflection as if she was searching for something, or someone. That night, after the house was dark and Marie was at her maybe-family’s, Hannah and I whispered from our mattresses on the floor. Her face was all angles and shadows in the moonlight. “There were two others,” she said. The next morning Marie bounded in while we ate cereal from plastic bowls. I looked up from my seat at the large picnic table in the kitchen and smiled. She pushed into a spot in the middle, making Hannah spill milk onto her lap. We gathered close to hear the stories and pepper her with questions. The bed was soft. The windows had curtains. Their names were Judy and Val. Short for Valentine, she said, swooning. Normally stiff and averse to touch, she joked freely, fist bumped the boys, patted a girl’s shoulder. I crossed my arms. As the girls prepped dinner that night, the phone rang. Our foster mom answered in the kitchen, nodding into the corner between the pantry and cupboards, twirling the long, stretched-out phone cord around her finger. “Meet me upstairs in a few minutes,” she called to her husband and Marie. I searched her eyes for a hint, found nothing but years of practice and resolve there. As we listened, we gave each other the thumbs-up or thumbs-down based on what we thought. We waggled our thumbs at each other over the black iron railing between the kitchen and family room. The paint on the rail had flaked off in many spots, the walls scuffed from years of tantrums, disappointments, and hurt. When the three emerged, the little girl’s eyes were sullen, the curl in her hair limp. She held the hair clip in her hand and absent-mindedly clicked it open and shut. She flop-flopped down the stairs to the kitchen, letting her hand trace the wobbly banister and rest in nicked spots. Marie tried to wrap the hair clip around her pinky. It didn’t fit. Her rejection was thick, her hope as thin and brittle as old paper. There were no more tears; she’d used them up on the two families before. Only despair was left. She sat on the bottom step between the dining room and kitchen, put her head against the wall, and stared at my back seeing nothing as I chopped the vegetables. “Like this,” Hannah mouthed near me showing me with one hand a tomato, the other a knife. Onion tears stung my eyes, my own rejection sharp in the silence. I wiped my eyes on my sleeve. The wet spot on the faded red darkened it, made it appear like blood dripping off the frayed and faded hand-me-down shirt my foster mom had pulled out of a box the day before so I’d have two. Nathan rushed past me again. Madison stopped in the bedroom doorway next to her brother, arched her back, tossed her head back, and shouted, “Go away! You stay!” With a flourish of their watercolor brush swords, they were safe. Marie would be thirty, I thought. I wondered if she found a family, if they were all she wanted and needed. I wondered if she understood safety or if she still jumped when someone walked behind her. I wondered if she had moments when she wondered, like I did, if you can give something you never had. My childhood dragon had thinning red hair mixed with gray, a long forehead, bifocals and contacts, and eyes that shook. He wore checked Western shirts, tight jeans, and brown cowboy boots that clump-clumped their way through our house. His fire burned the hottest at dinner after he arrived home. We sat down, my parents at the ends of the table, my brother and I on the sides, and nibbled on meatloaf or fish sticks or tuna fish along with canned fruit and veggies. “How was your day, honey?” my mom would ask sweetness dripping through sarcasm. His anger smoldered slowly into uncomfortable silence. Pink crept up his pale freckled neck until his rage came rushing out, leaving singed hope and trust in its path. With a shout he pounded the table, sending dishes jumping off it. Plates smashed above our heads, at our feet, at our backs as my brother and I ran. On those days I smelled horses and a perfume my mom didn’t wear. From inside my closet I heard them shouts about bills and other things I didn’t quite understand. “I’m disgusted at you,” he shouted at my mom. I wanted her to shout back, to be strong. Her voice sounded small and faint. I heard bumps into walls, her apologies, promises to be better, try better, do better. It was the silence that made me catch my breath, hug my skinny knees hard into my chest, push my fingernails deep into my shins. The fear I’d had as a little girl gave way to curiosity, independence, a desire to help. I ventured into hallways, the shadows of doorways my disguise. Once there I couldn’t unsee her body dangling from his large hands, her toes dancing into what I feared might be death. Her eyes closed; her body went limp. I saw his hands release her, his thumbs at the front of her neck first, his fingers at the back of her neck peeling away one by one as if reluctant to let her go. My mom’s body gasped into the carpet, her head clunked, her hands two sighs one after the other. I listened. For a cough, a sputter, a rolling over, a word. I held my breath for her, for both of us. Her body buckled with life. It could have been a few times. It could have been more. Each time her breath returned, a part of who she had been vanished. She became a fragile shell of the woman she’d been. Her laughter sounded forced, her speech thin. I began to fight. I said words I’d been taught not to say, pummeled him with 70- or 80-pound strength. I tossed my wit his way and watched him flounder. I grew bolder and stronger. I yelled and told him to stop. Each time I believed I could win. Until I lost. I covered bruises on my back or arms. It wasn’t long before his callused hands found my neck. I went to a teacher, asked if I could talk to her. Of course, she said. I pulled down the collar of my turtleneck, heard myself say dad. I stopped when my voice shook. I looked down at her shoes. They were white. The tips and edges were scalloped in a light brown stain. She listened to what I could say, heard hints what I couldn’t. Her eyes were wet when I looked up. She walked with me to the office where she disappeared behind a closed door with a counselor. I sat in a tan upholstered chair and listened as the large black-and-white clock tick-ticked its way into a future I couldn’t imagine. That afternoon I walked into a tired, worn out tri-level on a suburban cul-de-sac where I would meet both Marie and safety. I wouldn’t forget either one. I stopped. I sat his shoe on the rug, looked at my watch and sighed. I heard him. I heard his anxiety harmonizing with mine. I heard myself asking, How long will this be my home? Will there be more? Will this end, too? I held him on my lap, rested my chin in his soft hair, and breathed in strawberry shampoo and the scent of playing. I told him that nothing you can do or say will change our love for you; this is your home forever. My voice broke and I let tears fall into his hair. I knew he must feel them, but he didn’t move. He was quiet and rested his head against my chest breathing deeply. I was silent and let my breath match his. Madison came over and leaned against my back. “How long is forever?” he asked. With a deep sigh he stood up, turned around, and looked at me. He reached out and took a strand of my long hair in his hands, turned it, and let it fall. He watched a tear slide down my cheek. 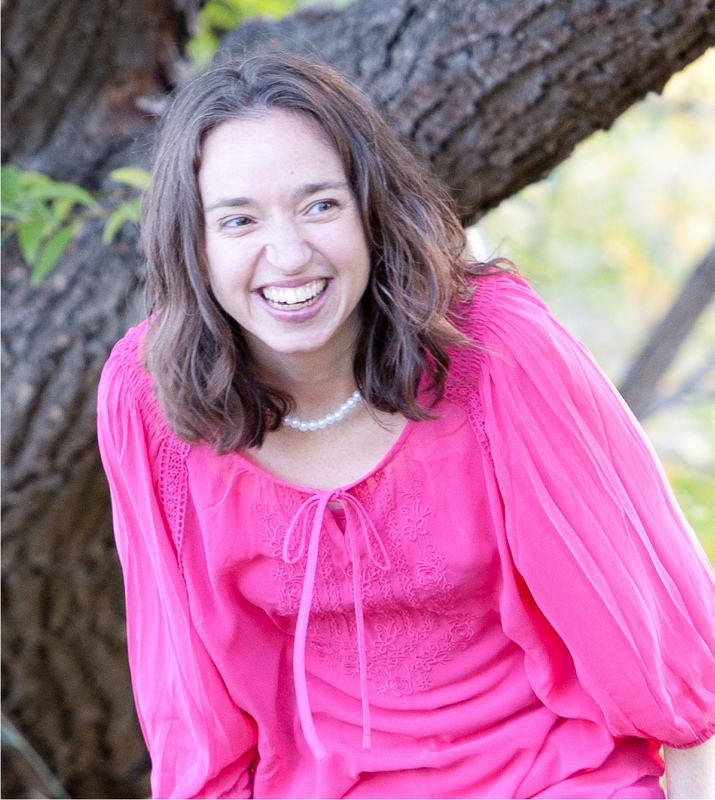 Shawna Ervin is a former journalist, and an active member of Lighthouse Writers Workshop in Denver where she is involved in a two-year mentoring program called the Book Project. She is working on a memoir about adopting her kids from South Korea. Recent publications include essays in The Diverse Arts Project and Love Me, Love My Belly, and poetry in Forge Journal.